Do you think that such a thing as chance exists? Rather an explosive sentence to start a letter with; but pray cast your mind back over your own life, and tell me if you think that we really are the sports of chance. You know how often the turning down this street or that, the accepting or rejecting of an invitation, may deflect the whole current of our lives into some other channel. Are we mere leaves, fluttered hither and thither by the wind, or are we rather, with every conviction that we are free agents, carried steadily along to a definite and pre-determined end? I confess that as I advance through life, I become more and more confirmed in that fatalism to which I have always had an inclination. Look at it in this way. We know that many of the permanent facts of the universe are NOT chance. It is not chance that the heavenly bodies swing clear of each other, that the seed is furnished with the apparatus which will drift it to a congenial soil, that the creature is adapted to its environment. Show me a whale with its great-coat of fat, and I want no further proof of design. But logically, as it seems to me, ALL must be design, or all must be chance. I do not see how one can slash a line right across the universe, and say that all to the right of that is chance, and all to the left is pre-ordained. You would then have to contend that things which on the face of them are of the same class, are really divided by an impassable gulf, and that the lower are regulated, while the higher are not. You would, for example, be forced to contend that the number of articulations in a flea’s hind leg has engaged the direct superintendence of the Creator, while the mischance which killed a thousand people in a theatre depended upon the dropping of a wax vesta upon the floor, and was an unforeseen flaw in the chain of life. This seems to me to be unthinkable. It is a very superficial argument to say that if a man holds the views of a fatalist he will therefore cease to strive, and will wait resignedly for what fate may send him. The objector forgets that among the other things fated is that we of northern blood SHOULD strive and should NOT sit down with folded hands. But when a man has striven, when he has done all he knows, and when, in spite of it, a thing comes to pass, let him wait ten years before he says that it is a misfortune. It is part of the main line of his destiny then, and is working to an end. A man loses his fortune; he gains earnestness. His eyesight goes; it leads him to a spirituality. The girl loses her beauty; she becomes more sympathetic. We think we are pushing our own way bravely, but there is a great Hand in ours all the time. You’ll wonder what has taken me off on this line. Only that I seem to see it all in action in my own life. But, as usual, I have started merrily off with an appendix, so I shall go back and begin my report as nearly as possible where I ended the last. First of all, I may say generally that the clouds were thinning then, and that they broke shortly afterwards. During the last few months we have never once quite lost sight of the sun. You remember that we (Paul and I) had just engaged a certain Miss Williams to come and keep house for us. I felt that on the basement-lodger principle I had not control enough; so we now entered upon a more business-like arrangement, by which a sum (though, alas! an absurdly small one) was to be paid her for her services. I would it had been ten times as much, for a better and a more loyal servant man never had. Our fortunes seemed to turn from the hour that she re-entered the house. Slowly, week by week, and month by month, the practice began to spread and to strengthen. There were spells when never a ring came to the bell, and it seemed as though all our labour had gone for nothing—but then would come other days when eight and ten names would appear in my ledger. Where did it come from you will ask. Some from old Whitehall and his circle of Bohemians. Some from accident cases. Some from new comers to the town who drifted to me. Some from people whom I met first in other capacities. An insurance superintendent gave me a few cases to examine, and that was a very great help. Above all, I learned a fact which I would whisper in the ear of every other man who starts, as I have done, a stranger among strangers. Do not think that practice will come to you. You must go to it. You may sit upon your consulting room chair until it breaks under you, but without purchase or partnership you will make little or no progress. The way to do it is to go out, to mix everywhere with men, to let them know you. You will come back many a time and be told by a reproachful housekeeper that some one has been for you in your absence. Never mind! Go out again. A noisy smoking concert where you will meet eighty men is better for you than the patient or two whom you might have seen at home. It took me some time to realise, but I speak now as one who knows. But—there is a great big “but” in the case. You must ride yourself on the curb the whole time. Unless you are sure—absolutely sure—that you can do this, you are far best at home. You must never for one instant forget yourself. You must remember what your object is in being there. You must inspire respect. Be friendly, genial, convivial—what you will—but preserve the tone and bearing of a gentleman. If you can make yourself respected and liked you will find every club and society that you join a fresh introduction to practice. But beware of drink! Above everything, beware of drink! The company that you are in may condone it in each other, but never in the man who wishes them to commit their lives to his safe keeping. A slip is fatal—a half slip perilous. Make your rule of life and go by it, in spite of challenge or coaxers. It will be remembered in your favour next morning. And of course I do not mean merely festive societies. Literary, debating, political, social, athletic, every one of them is a tool to your hands. But you must show them what a good man you are. You must throw yourself into each with energy and conviction. You will soon find yourself on the committee—possibly the secretary, or even in the presidential chair. Do not grudge labour where the return may be remote and indirect. Those are the rungs up which one climbs. That was how, when I had gained some sort of opening, I set to work to enlarge it. I joined this. I joined that. I pushed in every direction. I took up athletics again much to the advantage of my health, and found that the practice benefited as well as I. My cricket form for the season has been fair, with an average of about 20 with the bat and 9 with the ball. It must be allowed, however, that this system of sallying out for my patients and leaving my consulting room empty might be less successful if it were not for my treasure of a housekeeper. She is a marvel of discretion, and the way in which she perjures her soul for the sake of the practice is a constant weight upon my conscience. She is a tall, thin woman, with a grave face and an impressive manner. Her standard fiction, implied rather than said (with an air as if it were so universally known that it would be absurd to put it into words) is, that I am so pressed by the needs of my enormous practice, that any one wishing to consult me must make their appointment very exactly and a long time in advance. Then, having carefully fastened the patient up in the consulting room, she goes to little Paul. She seems in these interviews to inspire them with a kind of hushed feeling of awe, as if they had found their way into some holy of holies. My own actual appearance is quite an anti-climax after the introduction by Miss Williams. Another of her devices is to make appointments with an extreme precision as to time, I being at the moment worked to death (at a cricket match). “Let us see!” says she, looking at the slate. “He will be clear at seven minutes past eight this evening. Yes, he could just manage it then. He has no one at all from seven past to the quarter past”—and so at the appointed hour I have my patient precipitating himself into my room with the demeanour of the man who charges in for his bowl of hot soup at a railway station. If he knew that he is probably the only patient who has opened my door that evening he would not be in such a hurry—or think so much of my advice. One curious patient has come my way who has been of great service to me. She is a stately looking widow, Turner by name, the most depressingly respectable figure, as of Mrs. Grundy’s older and less frivolous sister. She lives in a tiny house, with one small servant to scale. Well, every two months or so she quite suddenly goes on a mad drink, which lasts for about a week. It ends as abruptly as it begins, but while it is on the neighbours know it. She shrieks, yells, sings, chivies the servant, and skims plates out of the window at the passers-by. Of course, it is really not funny, but pathetic and deplorable—all the same, it is hard to keep from laughing at the absurd contrast between her actions and her appearance. I was called in by accident in the first instance; but I speedily acquired some control over her, so that now the neighbours send for me the moment the crockery begins to come through the window. She has a fair competence, so that her little vagaries are a help to me with my rent. She has, too, a number of curious jugs, statues, and pictures, a selection of which she presents to me in the course of each of her attacks, insisting upon my carrying them away then and there; so that I stagger out of the house like one of Napoleon’s generals coming out of Italy. There is a good deal of method in the old lady, however, and on her recovery she invariably sends round a porter, with a polite note to say that she would be very glad to have her pictures back again. And now I have worked my way to the point where I can show you what I mean when I talk about fate. The medical practitioner who lives next me—Porter is his name—is a kindly sort of man, and knowing that I have had a long uphill fight, he has several times put things in my way. One day about three weeks ago he came into my consulting room after breakfast. “Could you come with me to a consultation?” he asked. I recognised her instantly. I had met her before and under curious circumstances. (Dr. Stark Munro here proceeds to narrate again how he had met the La Forces, having evidently forgotten that he had already done so in Letter VI.) When she was introduced I could see that she had not associated me with the young doctor in the train. I don’t wonder, for I have started a beard, in the hope of making myself look a little older. She was naturally all anxiety about her son, and we went up with her (Porter and I) to have a look at him. Poor fellow! he seemed peakier and more sallow than when I had seen him last. We held our consultation, came to an agreement about the chronic nature of his complaint, and finally departed without my reminding Mrs. La Force of our previous meeting. Well, there the matter might have ended; but about three days afterwards who should be shown into my consulting room but Mrs. La Force and her daughter. I thought the latter looked twice at me, when her mother introduced her, as if she had some recollection of my face; but she evidently could not recall where she had seen it, and I said nothing to help her. They both seemed to be much distressed in mind—indeed, the tears were brimming over from the girl’s eyes, and her lip was quivering. “It was he who sent us here,” said she. She set out valorously to explain; but the effort of putting her troubles into words seemed to bring them more home to her, and she suddenly blurred over and became inarticulate. Her daughter bent towards her, and kissed her with the prettiest little spasm of love and pity. “But what is mother to do?” cried the girl, taking up the tale again. “No hotel or lodging-house would take us in while poor Fred is like that. And we have not the heart to send him to an asylum. Uncle will not have us any longer, and we have nowhere to go to.” Her grey eyes tried to look brave, but her mouth would go down at the corners. I rose and walked up and down the room, trying to think it all out. I rang the bell for my housekeeper. Never have I so admired that wonderful woman’s self-command. This with her funny manner set the ladies laughing, and the whole business seemed lighter and easier. I promised to have the room ready by eight o’clock. Mrs. La Force arranged to bring her son round at that hour, and both ladies thanked me a very great deal more than I deserved; for after all it was a business matter, and a resident patient was the very thing that I needed. I was able to assure Mrs. La Force that I had had a similar case under my charge before—meaning, of course, poor “Jimmy,” the son of Lord Saltire. Miss Williams escorted them to the door, and took occasion to whisper to them that it was wonderful how I got through with it, and that I was within sight of my carriage. It was a short notice, but we got everything ready by the hour. Carpet, bed, suite, curtains—all came together, and were fixed in their places by the united efforts of Miss Williams, Paul, and myself. Sharp at eight a cab arrived, and Fred was conducted by me into his bedroom. The moment I looked at him I could see that he was much worse than when I saw him with Dr. Porter. The chronic brain trouble had taken a sudden acute turn. His eyes were wild, his cheeks flushed, his lips drawn slightly away from his teeth. His temperature was 102 deg., and he muttered to himself continually, and paid no attention to my questions. It was evident to me at a glance that the responsibility which I had taken upon myself was to be no light one. However, we could but do our best. I undressed him and got him safely to bed, while Miss Williams prepared some arrowroot for his supper. He would eat nothing, however, but seemed more disposed to dose, so having seen him settle down we left him. His room was the one next to mine, and as the wall was thin, I could hear the least movement. Two or three times he muttered and groaned, but finally he became quiet, and I was able to drop to sleep. At three in the morning, I was awakened by a dreadful crash. Bounding out of bed I rushed into the other room. Poor Fred was standing in his long gown, a pathetic little figure in the grey light of the dawning day. He had pulled over his washing-stand (with what object only his bemuddled mind could say), and the whole place was a morass of water with islands of broken crockery. I picked him up and put him back into his bed again—his body glowing through his night-dress, and his eyes staring wildly about him. It was evidently impossible to leave him, and so I spent the rest of the night nodding and shivering in the armchair. No, it was certainly not a sinecure that I had undertaken. In the morning I went round to Mrs. La Force and gave her a bulletin. Her brother had recovered his serenity now that the patient had left. He had the Victoria Cross it seems, and was one of the desperate little garrison who held Lucknow in that hell-whirl of a mutiny. And now the sudden opening of a door sets him shaking, and a dropped tongs gives him palpitations. Are we not the strangest kind of beings? Fred was a little better during the day, and even seemed in a dull sort of way to recognise his sister, who brought him flowers in the afternoon. Towards evening his temperature sank to [email protected], and he fell into a kind of stupor. As it happened, Dr. Porter came in about supper-time, and I asked him if he would step up and have a look at my patient. He did so, and we found him dozing peacefully. You would hardly think that that small incident may have been one of the most momentous in my life. It was the merest chance in the world that Porter went up at all. Fred was taking medicine with a little chloral in it at this time. I gave him his usual dose last thing at night; and then, as he seemed to be sleeping peacefully, I went to my own room for the rest which I badly needed. I did not wake until eight in the morning, when I was roused by the jingling of a spoon in a saucer, and the step of Miss Williams passing my door. She was taking him the arrowroot which I had ordered over-night. I heard her open the door, and the next moment my heart sprang into my mouth as she gave a hoarse scream, and her cup and saucer crashed upon the floor. An instant later she had burst into my room, with her face convulsed with terror. I caught up my dressing-gown and rushed into the next room. Poor little Fred was stretched sideways across his bed, quite dead. He looked as if he had been rising and had fallen backwards. His face was so peaceful and smiling that I could hardly have recognised the worried, fever-worn features of yesterday. There is great promise, I think, on the faces of the dead. They say it is but the post-mortem relaxation of the muscles, but it is one of the points on which I should like to see science wrong. Miss Williams and I stood for five minutes without a word, hushed by the presence of that supreme fact. Then we laid him straight, and drew the sheet over him. She knelt down and prayed and sobbed, while I sat on the bed, with the cold hand in mine. Then my heart turned to lead as I remembered that it lay for me to break the news to the mother. However, she took it most admirably. They were all three at breakfast when I came round, the general, Mrs. La Force, and the daughter. Somehow they seemed to know all that I had to say at the very sight of me; and in their womanly unselfishness their sympathy was all for me, for the shock I had suffered, and the disturbance of my household. I found myself turned from the consoler into the consoled. For an hour or more we talked it over, I explaining what I hope needed no explanation, that as the poor boy could not tell me his symptoms it was hard for me to know how immediate was his danger. There can be no doubt that the fall of temperature and the quietness which both Porter and I had looked upon as a hopeful sign, were really the beginning to the end. Mrs. La Force asked me to see to everything, the formalities, register, and funeral. It was on a Wednesday, and we thought it best that the burial should be on the Friday. Back I hurried, therefore, not knowing what to do first, and found old Whitehall waiting for me in my consulting room, looking very jaunty with a camelia in his button-hole. Not an organ in its right place, and a camelia in his button-hole! Between ourselves, I was sorry to see him, for I was in no humour for his company; but he had heard all about it from Miss Williams, and had come to stop. Only then did I fully realise how much of the kindly, delicate-minded gentleman remained behind that veil of profanity and obscenity which he so often held before him. Round he came, and very helpful he was. 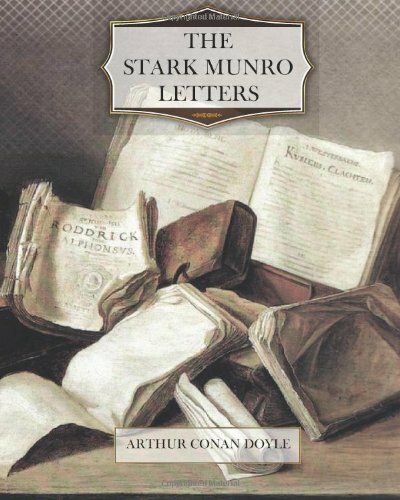 He seemed to know all about the procedure—”Buried two wives, Dr. Munro, sir!” I signed the certificate myself, conveyed it to the registrar, got the order for burial, took it round to the parish clerk, arranged an hour, then off to the undertaker’s, and back to my practice. It was a kind of nightmare morning to look back upon, relieved only by the figure of my old Bohemian, with his pea jacket, his black thorn, his puffy, crinkly face, and his camelia. To make a long story short, then, the funeral came off as arranged, General Wainwright, Whitehall, and I being the sole mourners. The captain had never seen poor Fred in the flesh, but he “liked to be in at the finish, sir,” and so he gave me his company. It was at eight in the morning, and it was ten before we found ourselves at Oakley Villa. A burly man with bushy whiskers was waiting for us at the door. “Are you Dr. Munro, sir?” he asked. Here was a thunderbolt! If looking upset is a sign of guilt, I must have stood confessed as a villain. It was so absolutely unexpected. I hope, however, that I had command of myself instantly. “Pray step in!” said I. Any information I can give you is entirely at your service. Have you any objection to my friend Captain Whitehall being present? “Not in the least.” So in we both went, taking this bird of ill-omen. He was, however, a man of tact and with a pleasant manner. “He died the day before yesterday. He was buried at eight to-day,” I explained; and then I told him the whole story from the beginning. He listened attentively and took a note or two. “Who signed the certificate?” he asked. He raised his eyebrows slightly. “There is really no one to check your statement then?” said he. “And there is one more thing, Mr. Detective, sir,” said Whitehall explosively. “I’m not a rich man, sir, only the —— half-pay skipper of an armed transport; but by ——, sir, I’d give you this hat full of dollars to know the name of the —— rascal who wrote that anonymous letter, sir. By —— sir, you’d have a real case to look after then.” And he waved his black thorn ferociously. So the wretched business ended, Bertie. But on what trifling chances do our fortunes depend! If Porter had not seen him that night, it is more than likely that there would have been an exhumation. And then,—well, there would be chloral in the body; some money interests DID depend upon the death of the lad—a sharp lawyer might have made much of the case. Anyway, the first breath of suspicion would have blown my little rising practice to wind. What awful things lurk at the corners of Life’s highway, ready to pounce upon us as we pass! And so you really are going a-voyaging! Well, I won’t write again until I hear that you are back from the Islands, and then I hope to have something a little more cheery to talk about.